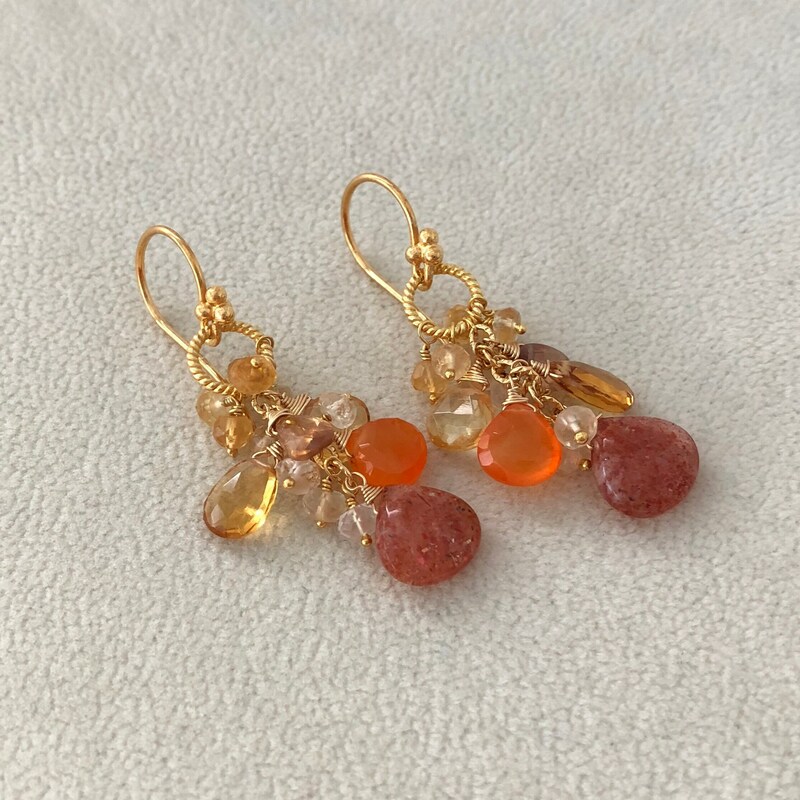 Our favorite new earrings style is now composed of yellow and golden citrine, fiery African sunstone, orange carnelian and natural zircon. The largest gemstone measures approximately 8 mm wide. 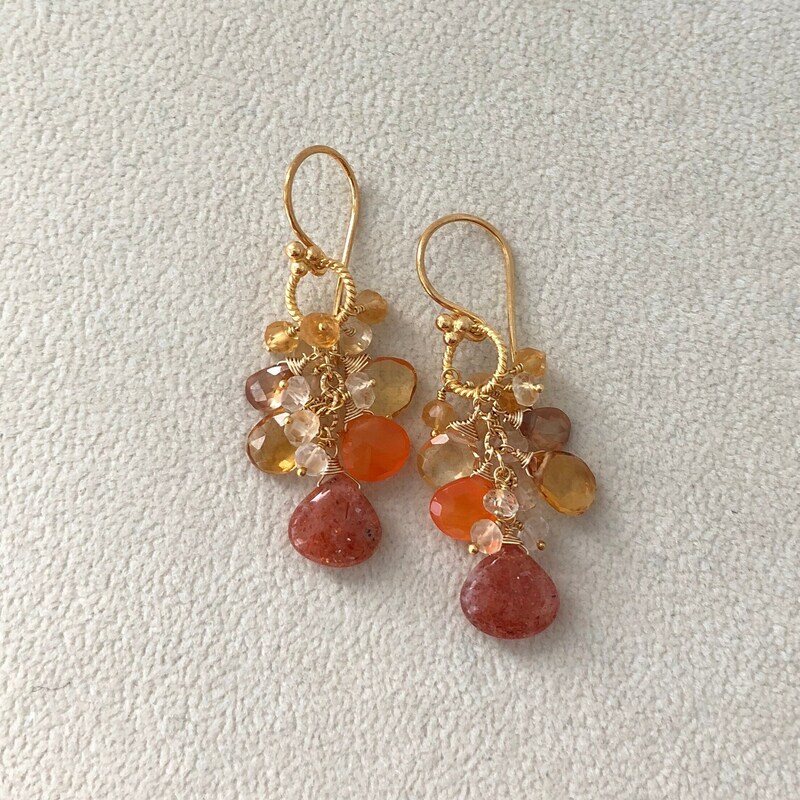 These earrings are finished in gold vermeil and completed with fancy earwires. 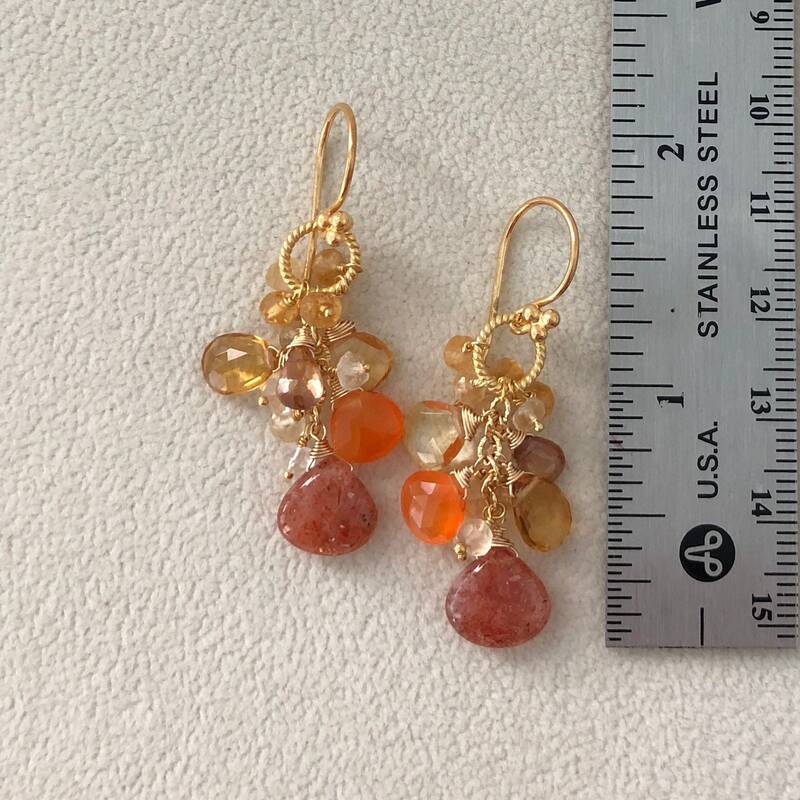 Earrings measure approximately 1.25-inches from the bottom of the earwire. Handmade by me in San Francisco, CA, USA. Item ships in an organza jewelry pouch and paper jewelry box with Blue Easel Designs logo via USPS Priority Mail with Delivery Confirmation and shipping insurance. *** No refunds on earrings! *** Please see Store Policy. We accept all major credit cards via PayPal for your security. We also offer direct check-out through Etsy. We do not currently accept checks or money orders at this time. All of our items are packaged in a jewelry pouch and jewelry box labeled with the Blue Easel Designs logo and shipped via United States Postal Service Priority Mail with Delivery Confirmation. Orders usually arrive within 2 to 3 days of the shipping date if delivery is in the United States. Orders are processed and shipped by the next day to expedite delivery. Insurance included on all orders of $125.00 or more. Express Mail is available with purchase of shipping upgrade. International shipping is available by request only. Import taxes or customs due upon delivery are the responsibility of the buyer. For more information on customs and import taxes, please check with your local postal service. Returns for MOST online purchases are accepted if the item is in orginal condition with the tag intact. 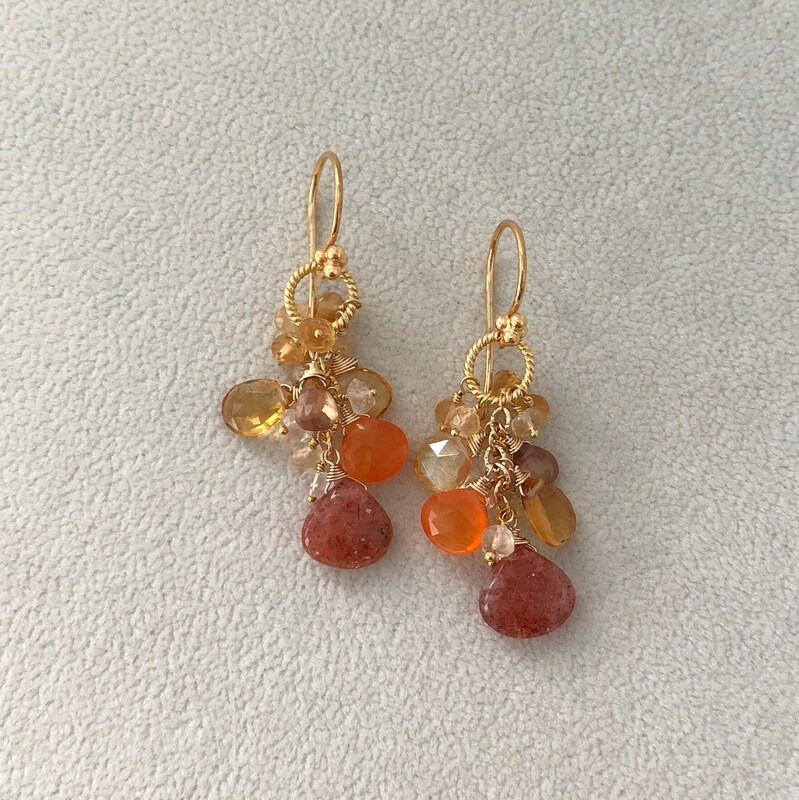 (Custom orders, sale items and earrings are non-refundable.) Return requests must be made within 3 days of merchandise receipt. The item to be returned must also be shipped immediately after acknowledgement of return request. Buyer pays for all shipping charges. For combined orders greater than $600, refund includes a 15% restocking fee. Net refund or net store credit will be issued if the item is received in acceptable condition as described above and within 5 days of shipping date. Items damaged during delivery will be repaired or replaced free of charge. Proof of damage during transit is required for replacement or repair service. Sterling silver, as we all know, tarnish over time. Tarnishing is a natural process by which the silver metal oxidizes, losing its shiny luster and turning dark gray-black in color. There are a few things we can do to stop this process from occurring. I highly recommend storing a small piece of anti-tarnish paper in the bag or box where the sterling silver jewelry is kept. This paper is not known to be harmful to precious metals, such as gold and silver, and protects it from tarnishing. The anti-tarnish paper is usually good for 6 months of use, then it needs to be replaced to provide continuous protection against tarnishing. 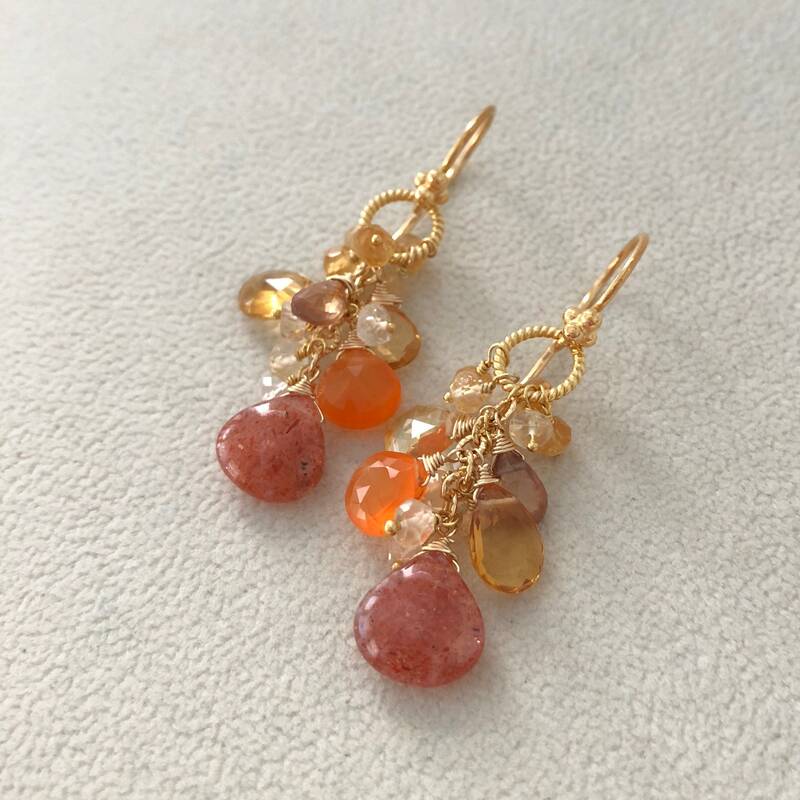 Vermeil is simply gold-plated sterling silver, and it looks just like gold. 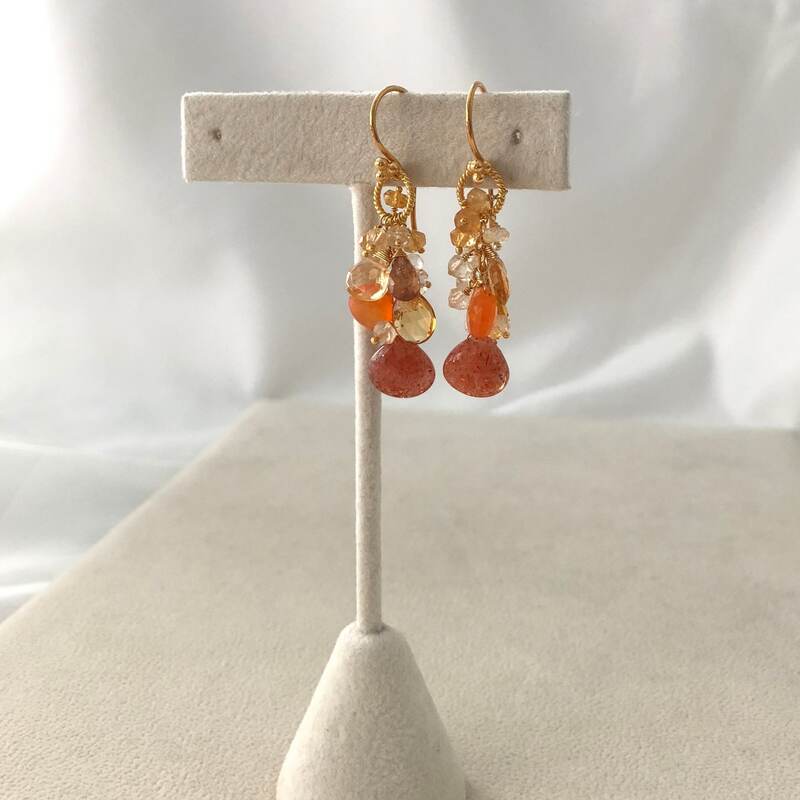 Much like sterling silver jewelry, vermeil jewelry can tarnish over time and wear, so it would be wise to care for vermeil jewelry in the same manner as you would care for silver jewelry. For most jewelry, washing with soap or chemical cleaners is too abrasive, especially if the pieces contain gemstones. Vermeil and Sterling Silver jewelry do not need to be cleaned with harsh chemicals. Usually, polishing and buffing with a soft cloth is sufficient maintenance to keep it shiny. If a necklace gets tangled, do not pull it apart with force because that may damage the piece of jewelry. To properly untangle a necklace, just hold it on one end and let it unwind gently. 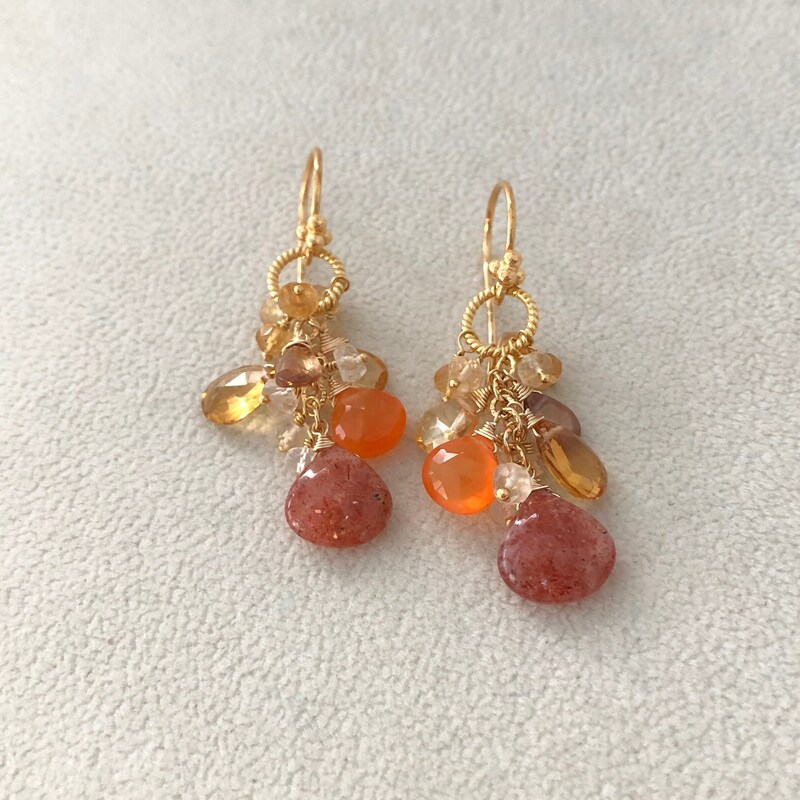 I have been finding more rare and exclusively beautiful gemstones for my jewelry designs, so the prices for my pieces are increasing as a result of this. 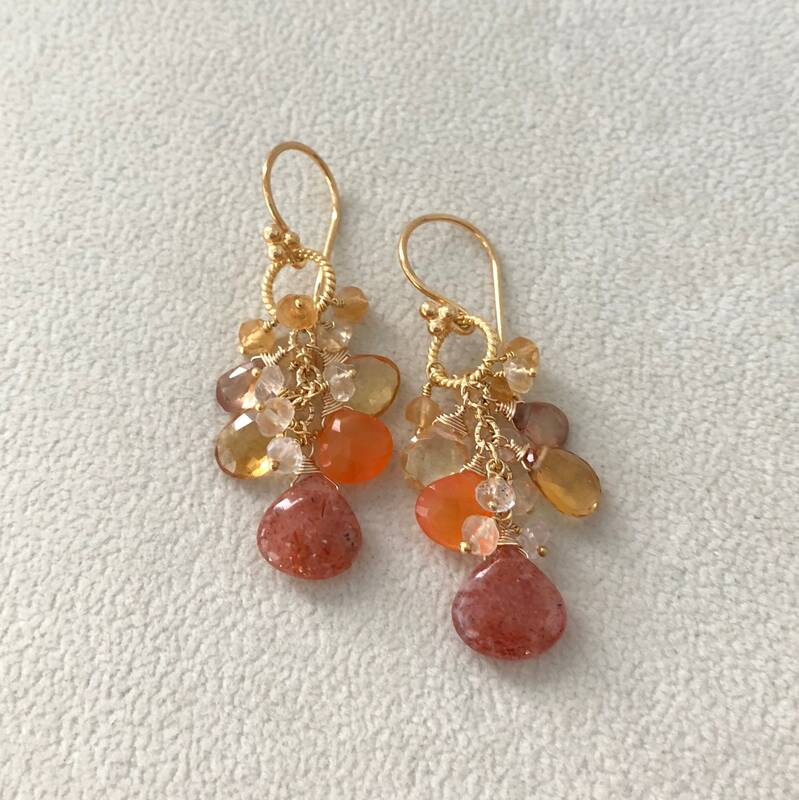 Larger gemstones tend to cost more as well. The price of gold and silver have increased dramatically over the last few years. 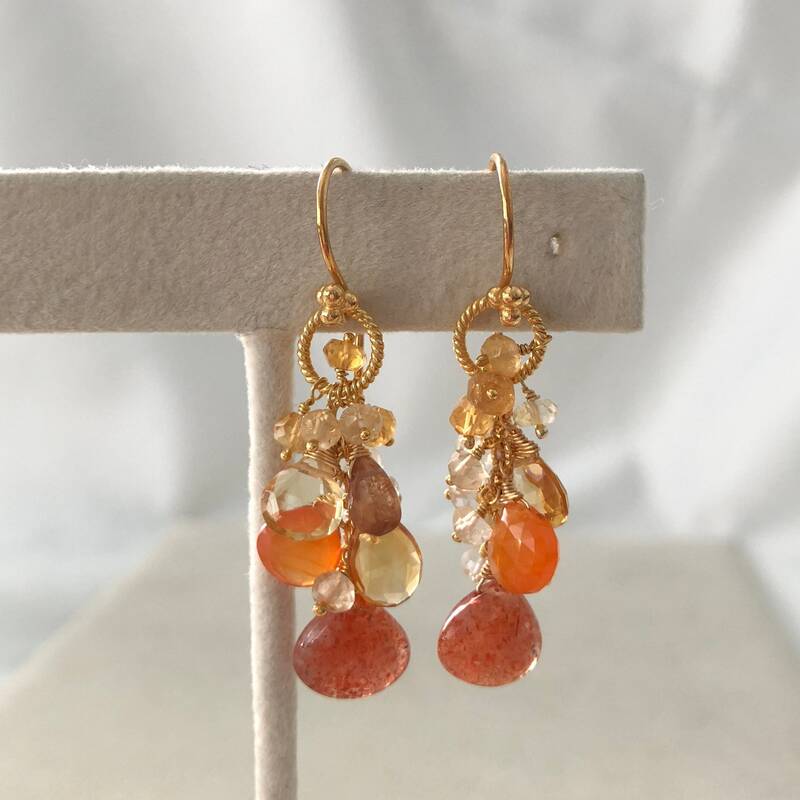 Because of this, the prices for my pieces have increased as well; however, I do try to maintain reasonable pricing by small incremental changes on select items only when absolutely necessary. I apologize for these fluctuations, but they are inevitable due to economic changes.